This is one that ended up at second place on the Top Ten Spiciest Instant Noodles Of All Time – that means its really hot! There are these tiny little peppers (chilli paddi) that are real scorchers and they’re small enough that when you happen to find one, you get quite a jolt! I reviewed this a while back this year – #732 and during the Meet The Manufacturer: Indomie special. 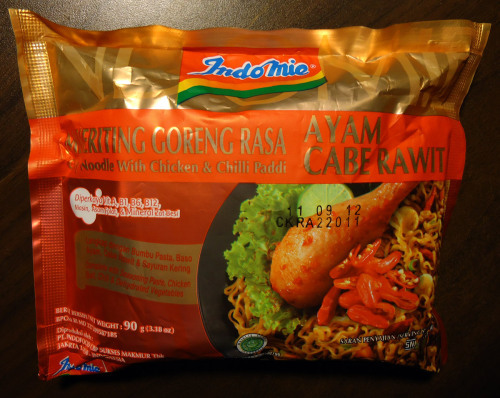 This is one of the packs sent directly from Indofood in Indonesia – I am told they will be sending some new samples very soon! Can’t wait to try them! Finished (click image to enlarge). Added sweet onions, turkey breast, two scrambled eggs and some Dua Belibis chilli sauce. Noodles are quite good – same style as the #1 from the Top Ten Instant Noodles Of All Time list. 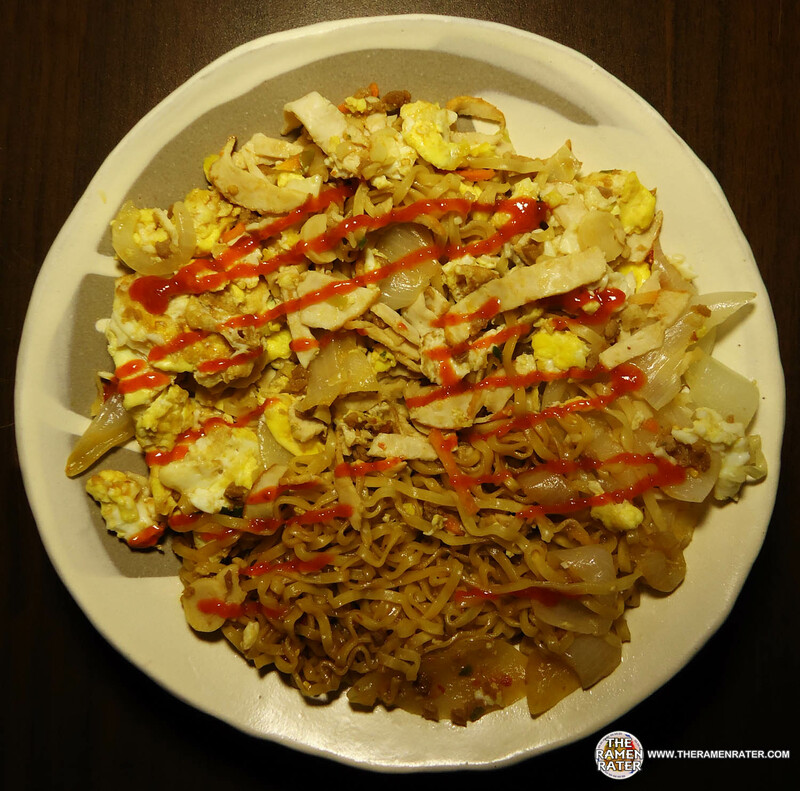 The flavor is nice – the noodles are coated with a slightly spicy but sweet flavor – and those little peppers pop up now and again and blow your head off – exhilarating! 4.25 out of 5.0 stars. UPC bar code 089686040692 . How do they make Indomie? Watch and see! I believe this is an African plant but I’m sure its not much different in Indonesia.